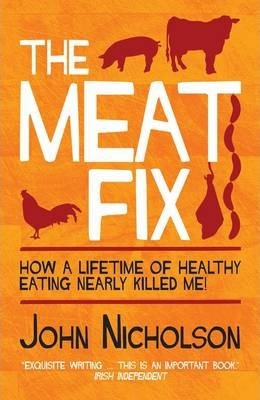 "The Meat Fix" is the story of how eating meat again after twenty-six vegetarian years changed John Nicholson's life powerfully for the better, and his quest to understand why the supposedly healthy diet he had existed on was actually damaging him. He is not a scientist and this is not your standard diet book. Rather, it is an explanation of how Nicholson discovered what works for him and why we should all look at nutritional advice through a clear lens, not the warped prism of what has become conventional dietary advice. This is a surprising, often hilarious, and shocking journey of discovery. John Nicholson is author of "We Ate All the Pies," which was longlisted for the William Hill Sports Book of the Year Prize.